Mecham is an assistant professor of political science at Brigham Young University. He has been a frequent contributor to POMEPS and the Middle East Channel. His articles include “The AKP’s accountability problem” (June 7, 2013), which appeared in POMEPS Briefings 23 Turkey’s Turmoil, and “Erbakan’s unintended legacy” (March 1, 2011). Hwang is an associate professor of political science and international relations at Goucher College. 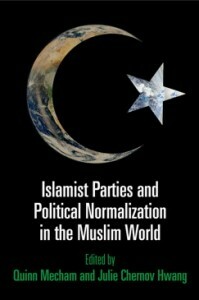 For more on Islamist party politics, read the Rethinking Islamist Politics series with memos from the Islam in a Changing Middle East annual conference and relevant Middle East Channel and Monkey Cage articles. — C.K.